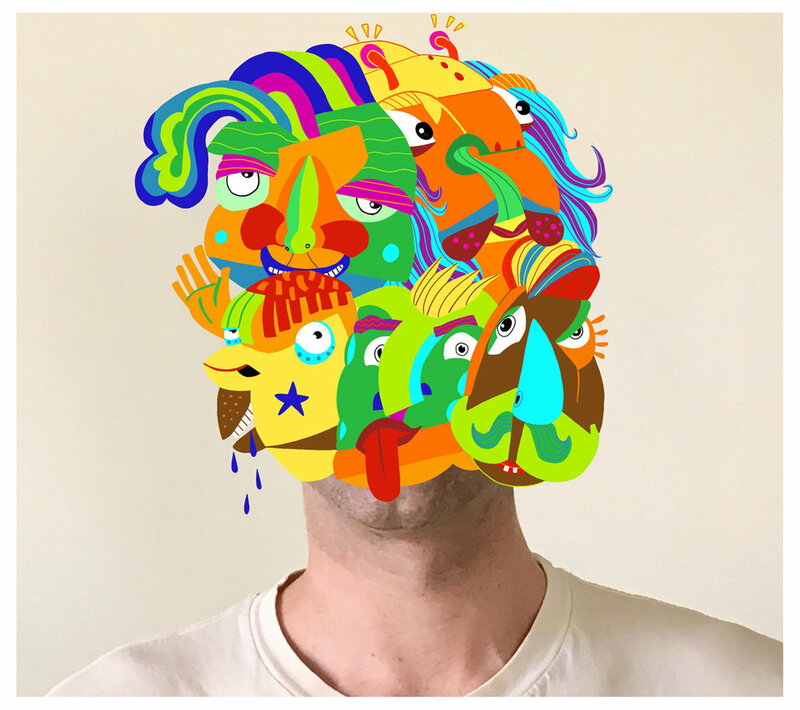 I'm an artist who fills my sketchbook to the brim with faces and characters, and then applies them across a wide variety of media. Colorful and chaotic, the images always have a bit of storytelling. Characters talk to, antagonize, smile at, judge, desire, laugh at, hurt, and help each other. My style has been described as "Picasso meets The Simpsons." Or "Where's Waldo meets Guernica."